Vet Doctor Buckeye Bottoms Personal life; Is he a Married man? Home Article Is Vet Doctor Buckeye Bottoms Married Or Does He Enjoys Spending Time With Animals? Is Vet Doctor Buckeye Bottoms Married Or Does He Enjoys Spending Time With Animals? It's sometimes the best feeling to dedicate years of one's life caring and nourishing animals visiting door-to-door and still not getting tired of the job. For the Hawaii-based mobile veterinarian, Dr. Buckeye Bottoms live is all about keeping each animal of Hawaii happy and healthy. It's sometimes the best feeling to dedicate years of one's life caring and nourishing animals visiting door-to-door and still not getting tired of the job. For the Hawaii-based mobile veterinarian, Dr. Buckeye Bottoms life is all about keeping animals happy and sound. Buckeye Bottoms gained wide recognition all across the world when he became the ultimate star of Nat Geo Wild show 'The Adventure of Dr. Buckeye Bottoms'. Know more about the star and his family life over here! Buckeye Bottoms' Family Life; Is He A Married Man? There's no doubt that Buckeye Bottoms is a kind-hearted person as he dedicated more than 13 years of his life caring for pets and other animals. He is also the star of the show 'The Adventures of Dr. Buckeye Bottoms'. He travels hundreds of miles with his companion Kevin (his pet dog) in Hawaii delivering life-saving treatments and practice. The aspiring doctor spends most of his time with animals. Not only his professional life; his personal life would definitely inspire you all. It's a terrible situation for any child when their parent's marriage fall apart. His parents Timothy Bottoms and mother Alicia Cory divorced in 1978 when he was just one year old. Six years later, his father married Marcia Morehart. He has three half-siblings named, William Bodie Bottoms, Benton Bottoms, and Bridget Bottoms. Some reliable sources reported that his family members including his step-mother are very supportive. Well, it's good to see him having a good relationship with his family members but what about his romantic life? The thing is truly behind the shade as the star hasn't spoken a word on the very topic. For now, we can assume that he's still a single guy as we don't find him spending a quality moment with someone special. He spends the majority of his entire time caring a huge group of animals. We hope to see him living a happy married life with wife and kids soon. But when will the star would let us know about his dating life and girlfriend? It seems we have to wait for the right time. 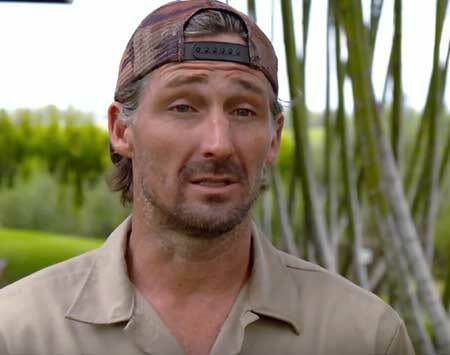 Bottoms rose to prominence and people came to know about the Hawaiian veterinarian and his mobile clinic through the reality show 'The Adventures of Dr. Buckeye Buttoms' on National Geographic Channel. As he's not the only star in the family it's definitely not a difficult thing for him to face the camera. It's more than a year since the first season aired. He's seen treating various animals like dogs, alpaca, cows, pigs, horses, bull, and Pygmy goats. He carries all the necessary equipment in his mobile vet van and tends to animals. It's obvious to all that it's a tough and a dirty job but for Bottoms, there's no other place he'd rather be and nothing he won't do to save the life of such innocent creatures on earth and keep them healthy and happy. Previously, he worked at Santa Cruz as a mobile veterinarian from 2004-2006 visiting door-to-door and performing treatment on animals. Bottoms once said that the visible negligence and abuse of animals was the part of the reason why he joined the TV show. The first episode of the show premiered on 18 February 2017 with the renewed second season that ended some months earlier. Born on 25 January 1977 in Santa Barbara, California. His father Timothy Bottoms and uncles Ben Bottoms and Joseph Bottoms are actors. His uncle Joseph Bottoms won the Golden Globe Award for New Star Of The Year- Actor in 1975. His father and mother Alicia Cory divorced when he was just a year old. He received a B.Sc. in animal science from California Polytechnic State University in 2000. He got his Doctoral degree from Atlantic Veterinary College in Veterinary Medicine.